Regrettable tattoos. Unlikely friendships. Balls in the face. 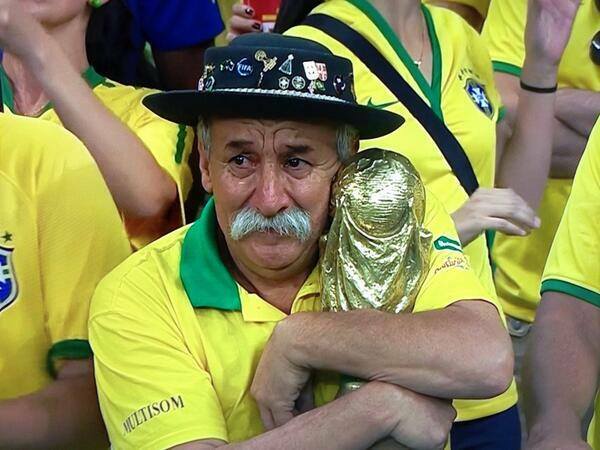 All of these are features of the greatest show on Earth–the World Cup. Every country gets to take part, staying glued to the TV, whether you’re a world soccer superpower looking to bring the trophy home (no, not you), or whether your soccer federation hired Bruce Arena. Now, there’s a lot of research out there showing that voters like to hold politicians accountable for things that happen on their watch, but aren’t necessarily diligent about making sure they hold the right politicians accountable for the things that are actually their fault. In short, if you hold a highly visible office when good things happen, you tend to get rewarded. If you hold a highly visible office when bad things happen, you tend to get punished. It’s not fair, but neither is politics (or fair play rules). This means that, in Brazil, the World Cup can be a political event, in the sense, at least, that the everything is about the World Cup while it’s going on. Feel like stealing a car? Do it during a game of the Seleção, as the streets will be deserted. Feel like getting some medical attention? Try not to schedule it during the World Cup (I’ve personally been there–a suspiciously high number of doctors seemed to be “in surgery” and none of the receptionists even pretended to do work). As a result, it stands to reason that, in a country like Brazil, the World Cup could really affect incumbent politicians’ political fortunes. Or not–maybe no one pays attention to politics during 3-4 months before an election anyhow. In any case, because of how the calendars align, every general election in Brazil since 1994 has coincided with a World Cup. I coincidentally have an almost-public dataset on Brazilian polls (can’t have y’all stealing my precious data before it’s published, after all) called the Brazilian Polling Error Database, so I decided to run the data to see. The BPED is a collection of polls conducted between 2002 and 2014 for presidential, gubernatorial, senatorial, and mayoral elections in Brazil. I created it for a paper written with Mathieu Turgeon of the University of Brasília, which is currently under review at an academic journal. I left mayoral elections out because municipal elections are held in off-years. Senate elections in 2002 and 2010 are also left out because voters have to vote for two candidates for the Senate and that’s a nightmare to analyze. To keep things simple, I left out covariates at both the poll level (polling institute, number of undecided voters, etc.) and the macro level (state of the economy, consumer confidence, etc.). 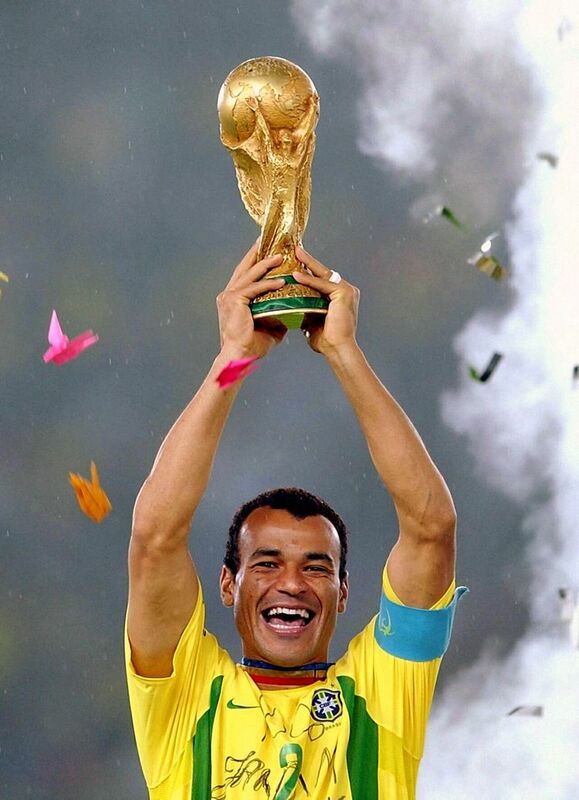 As one might expect, being an incumbent becomes better after the 2002 World Cup when Cafú gets number 2. The key here is the difference-in-differences estimator–by being an incumbent, you’re essentially getting a boost of 15 percentage points! Thanks Ronaldo Fenômeno! Being an incumbent, though, becomes much worse after David Luiz’s 2014 masterclass in emotional imbalance. In this case, you’re getting essentially a 10-point hit. So what does this mean for 2018? Not too much for those following the presidency; although Brazil’s current President might never die (unless he gets hit by direct sunlight), his approval rating can’t really get any lower anyway and he won’t run for re-election. If you’re an incumbent senator or governor, though, you might want to cheer real hard for the Hexa.